Our on-site parts department can help you customize your sleek Toyota Camry or commanding Tacoma pickup truck to suit not only your on-road needs but your personality, so don't hesitate to visit Rodland Toyota in Everett, Washington today! Our new and used car dealership is conveniently located near Mukilteo and thanks to the impressive part specials we offer, our neighbors are able to snag the genuine car parts they want at the price they deserve! Genuine accessories protect your vehicle by ensuring add-on features complement existing auto components. 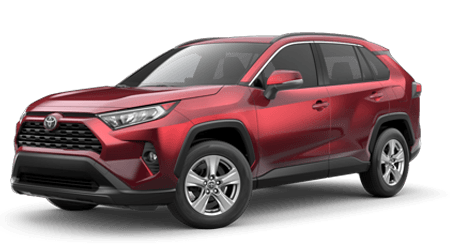 Don't take any chances when it comes to the performance and overall lifespan of your Toyota RAV4, head to Rodland Toyota near Mill Creek, Washington for a customized accessory shopping experience. Our staff is familiar with all the eye-catching products we carry and will listen to the look you are going for before introducing you to all the items that help achieve it. Contact us at (425) 595-5509 to get started today! With help from our interactive Rodland Toyota website, motorists can easily request all the genuine car accessories that they're looking for. Use our form to place a request with our Toyota dealer's parts center. We'll review it promptly, fulfill it in a timely manner and contact you as soon as your products are ready to be picked up. If you'd like to customize your Toyota Highlander but would prefer a certified technician get your quality products onto your SUV, Rodland Toyota is here to help! Our dealership's service department can get your accessories safely installed onto your new or used car, so don't hesitate to let us know you'd like our auto service team to take care of product installation; we're here to help!